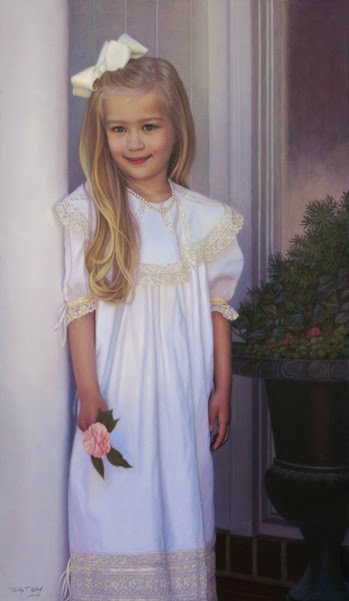 Award winning Atlanta artist, Trilby Wood is known for her portraits of children, painting hundreds of commissions in the last 25 years. Her soft pastel work captures the beauty of the human face and the likeness of the subject, in moments of thoughtful joy and peacefulness. Her skillful work shows years of watching faces and deep study in the medium of pastel. It’s no wonder that Trilby’s work is in collections nationwide as well as numerous publications throughout the years. Trilby has always been interested in drawing, seeking out classes at Traphagen School of Art when she was in grade school and continually studying drawing throughout high school and college, at Boston University and the University of Texas. After taking a significant twenty year break from portraiture, Trilby found night classes in pastel in Houston to revive her love of the work. She took the next few years to build clientele and do live portraits on the weekends before she felt confident to move to Atlanta and start a full time business as a portrait artist. Trilby marketed herself through local arts and crafts shows, gaining work via word of mouth and building a thriving business. 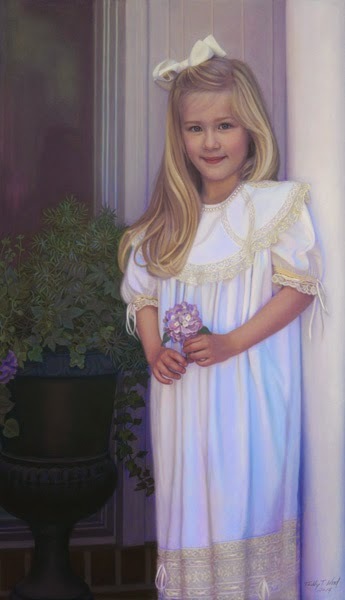 Trilby’s glowing pastel work is often large scale, as many of her portraits are full length. Before finding Pastelbord™, she was dry mounting her work, which is an unpredictable and time consuming process and is difficult to ship. After finding Pastelbord through a art magazine, she was thrilled to work with an easy, already built product. Not to mention, Trilby also found that her color was brighter and fresher.